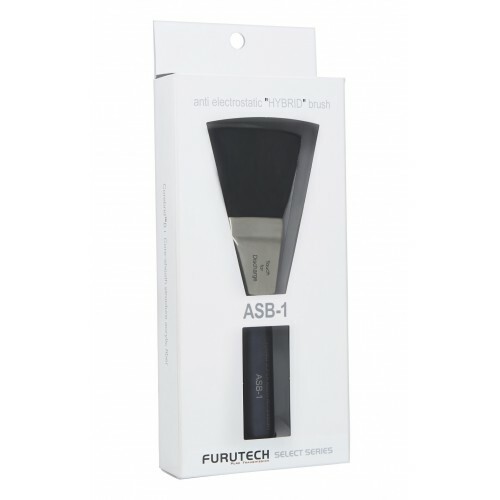 ASB-1 is a static eliminating brush created for audio and video applications. Featuring "COREBRID B” composite core fibers, a unique highly conductive material developed by Mitsubishi Chemical Corporation. Use of revolutionary COREBRID B (core and sheath) hybrid fibers with their amazing antistatic properties and durability has allowed us to deliver in the ASB-1, one of the most versatile and effective audio video antistatic accessories available. COREBRID B is a core-sheath composite conductive acrylic hybrid fiber. The core of the fiber is formed of high-density carbon-based super conductive particles that conduct the static charge away to ground. 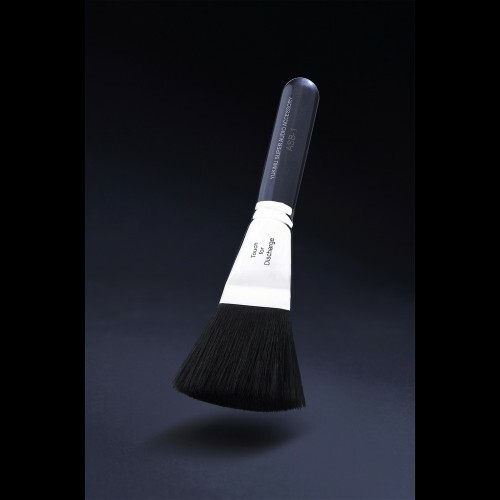 Conventional antistatic brushes attract static charge to cling to the fibers of the brush where they can easily be discharged back onto media surfaces. With the ASB-1 static charge is conducted away through the core of the fibers, rather than on the surface for a more effective result – static is trapped and forced to ground. The surface of the COREBRID B fibers is a tough abrasion resistant outer 30µm sheath, making them extremely durable. This allows the ASB-1 fibers to be used time and again without wear or damage to the special conductive core. And the special enlarged ends of the hybrid fibers offer dramatically increased generation of corona discharge and the most effective static elimination results seen in an antistatic brush.